Identify prospects who best align with your service offerings. Once your prospects are qualified, use your assesment tool to determine an appropriate care level. Effectively manage sales activities to convert prospects into residents. Vitals Lead & Referral Management was built to be the thinnest layer between your sales reps and the tools they need to convert leads to residents. This app was specially created for senior living community professionals by senior living community professionals. It contains a wealth of industry-specific tools that you won’t find in off-the-shelf tools. Lead & Referral Management also enhances your awareness of what activities, sources and leads are most likely to help you drive occupancy. 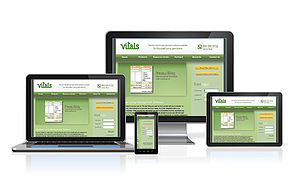 Vitals Lead & Referral Management offers a workflow that automatically pushes actionable intelligence to the user. You also get to stay informed and in control of data that helps you maximize occupancy and focus on the best candidates with the least acuity. Target prospects who align best with your service capabilities and your ideal resident profile. Like other Vitals Assisted Living Software solutions, Lead & Referral Management helps you optimize your business as you maximize your bottom line. Ask for a demo today and see what a difference Vitals can mean to your productivity and profitability. I’ve used at a lot of competing CRM software, and the functionality and robustness of the lead and referral management module in Vitals is incomparable to anything I’ve seen.